Our next Leading Lady Leo is one of the many that was gracious enough to share the spotlight with fellow group members. 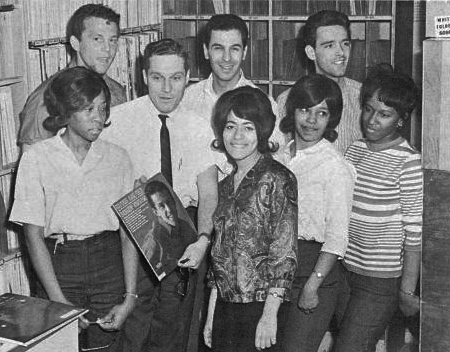 Although her voice dominates the biggest hits The Chiffons had, Judy Craig shared lead duties with Sylvia Peterson on the slew of classics, charms and misses The Chiffons recorded between 1963 and 1970. Craig herself had a decidedly otherwordly quality to her Contralto leads that to this day stand out against some of the more aggressive lyrics in the Girl Group pantheon. The determination of their big hits “He’s So Fine” and “One Fine Day” have their more complicated resolution in this Non-Hit from the Spring of ’64. All that Leo determination proved for naught; seemingly those boys easy to love (and lust after) are the hardest to wrangle for yourself (no surprise). The duality of the British Invasion and their managements poor handling of promotion and paying The Chiffons resulted in this being a long forgotten lost opportunity, as were most of their singles through 1964. Today it stands as the perfect end to the storybook that were their first brace of singles before moving on to bigger and better things.